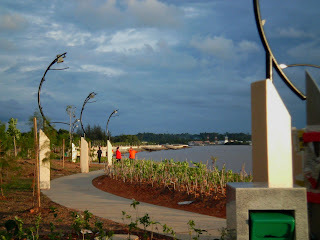 This promenade was recently open to visitors and the public. Situated at the mouth of Bintulu river, it is rapidly becoming into another tourist attraction. This picture was taken an hour before sunset.